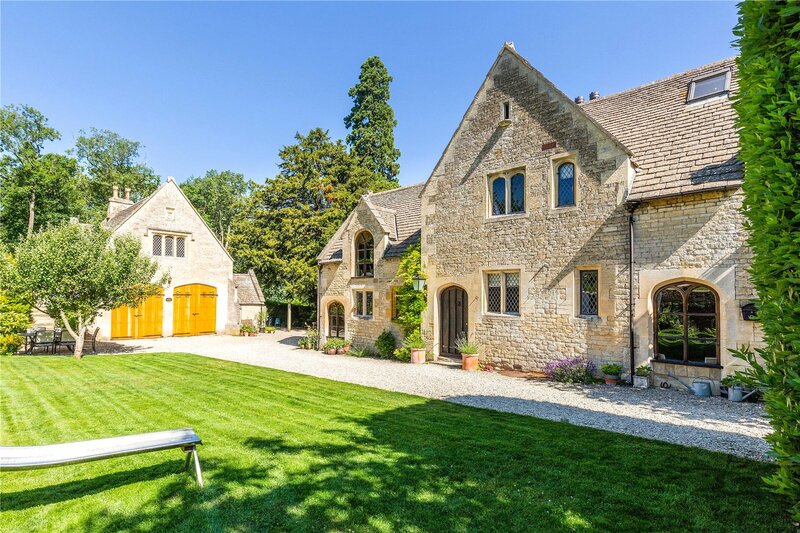 The Stable House and Coach House is a splendid archetypal home of its era and stature. 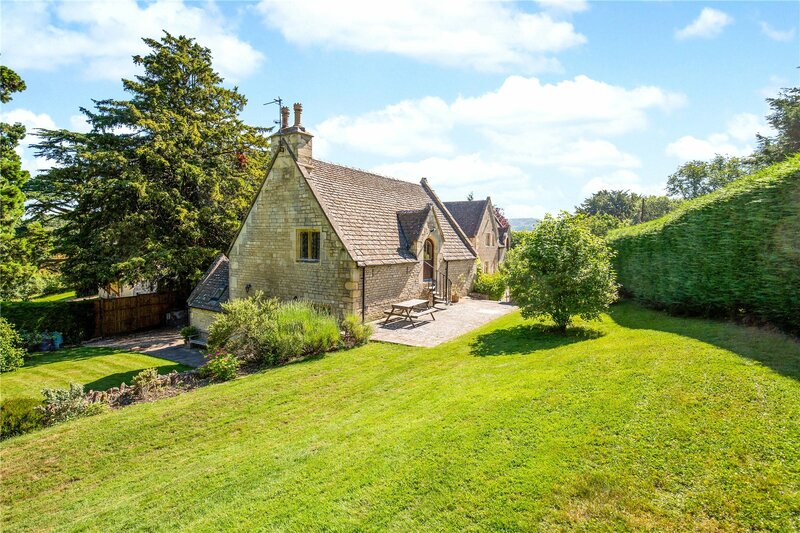 Believed to date back to 1780, with some parts of an earlier origin, this stone dressed house is characterised by its classic Gothic angles and grandeur. 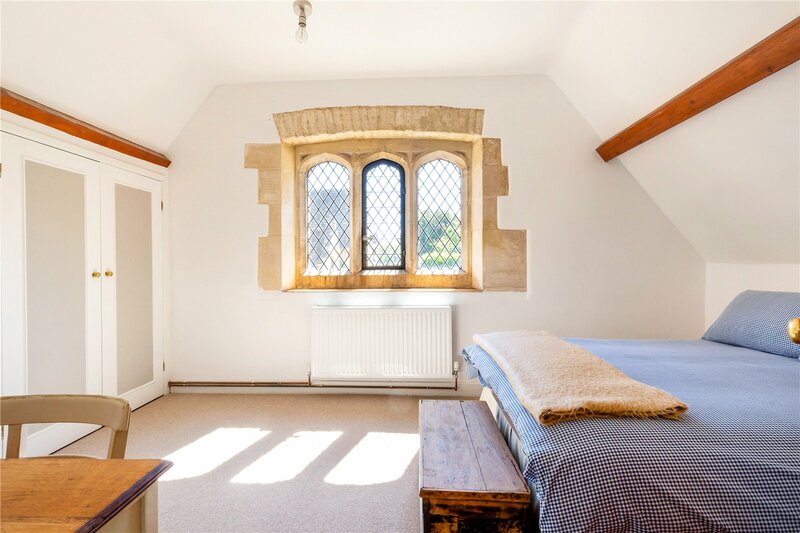 The appeal internally is the intricate character detail, as you would expect of a property of its period, ornate arched windows, beamed ceilings and exposed stone walls. 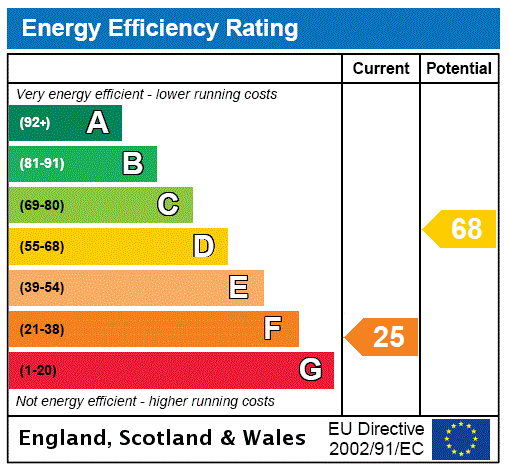 The excellent family accommodation flows with such ease and offers a traditional floorplan ideal for modern living. 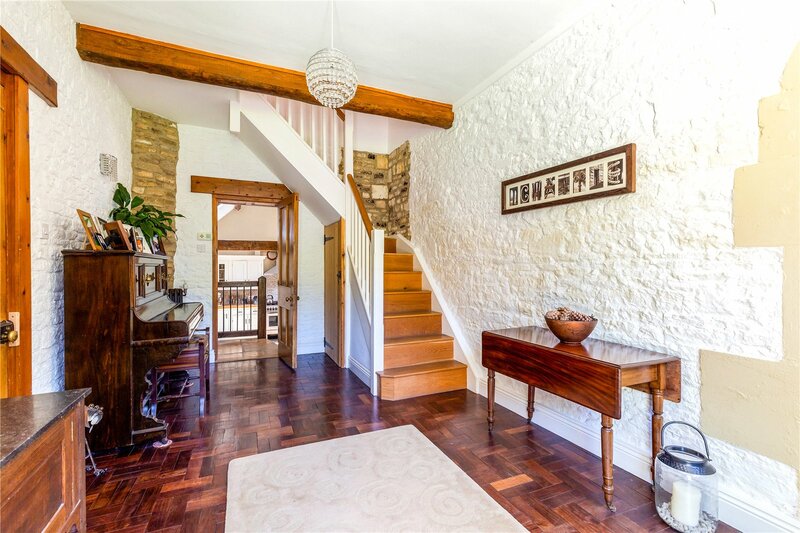 Entrance is gained via a spacious hallway with original parquet flooring and a large leaded light window. 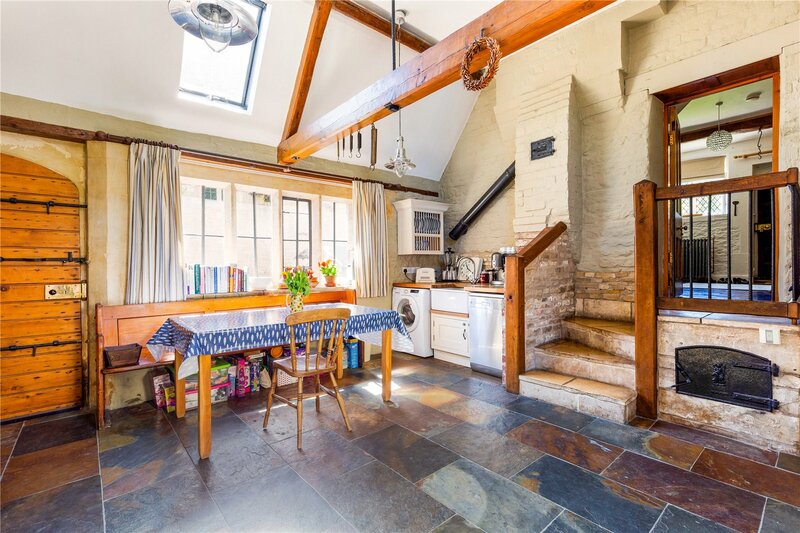 The kitchen/breakfast room is a social space, fitted with a comprehensive range of units it opens onto a gravelled courtyard area which in turn leads to the gardens. 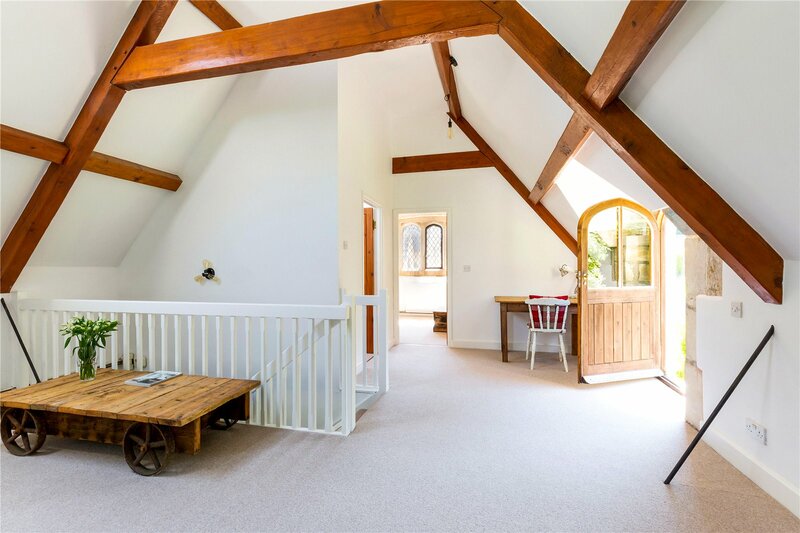 The vaulted ceilings make this room feel particularly spacious and light. 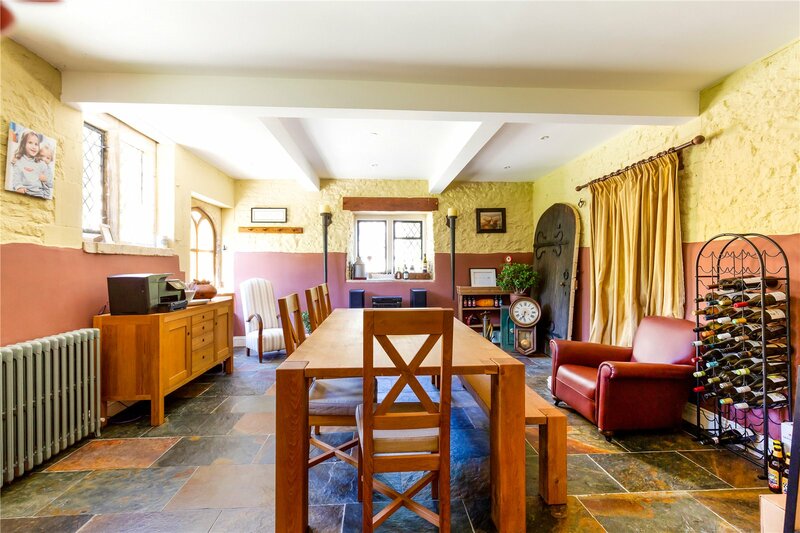 The drawing room is charming, with large arched gothic leaded light windows and a log burner with stone surround. The formal dining room room is of equally good proportions, with tiled flooring and a door leading to an outside terrace, this room is both bright and spacious. A staircase rises to four bedrooms on the first-floor level. 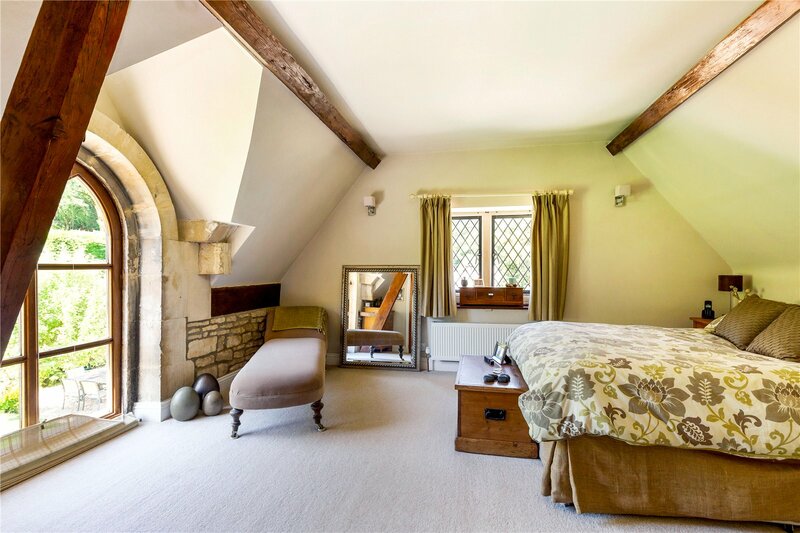 The master bedroom with en suite shower room enjoys the most idyllic views over the gardens and countryside beyond. 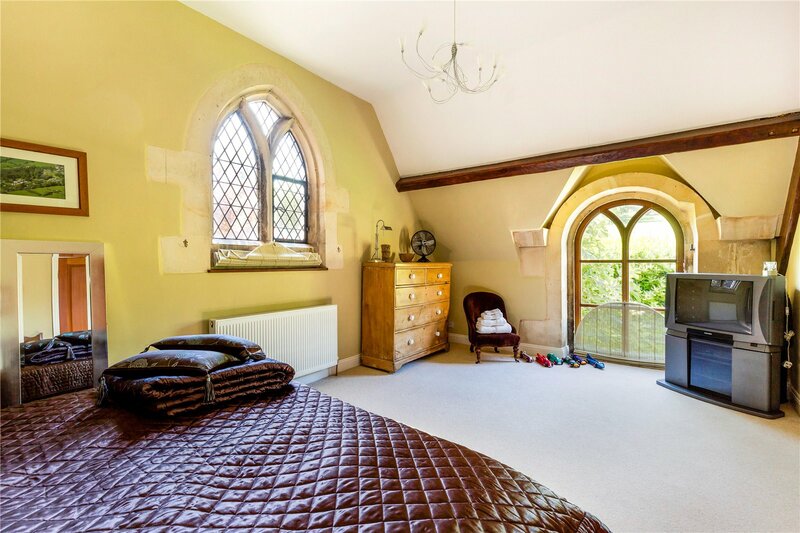 The guest bedroom enjoys an equally beautiful vista through a large arched window, this room has the benefit of a fitted wardrobe. There are two further bedrooms and a modern family bathroom. 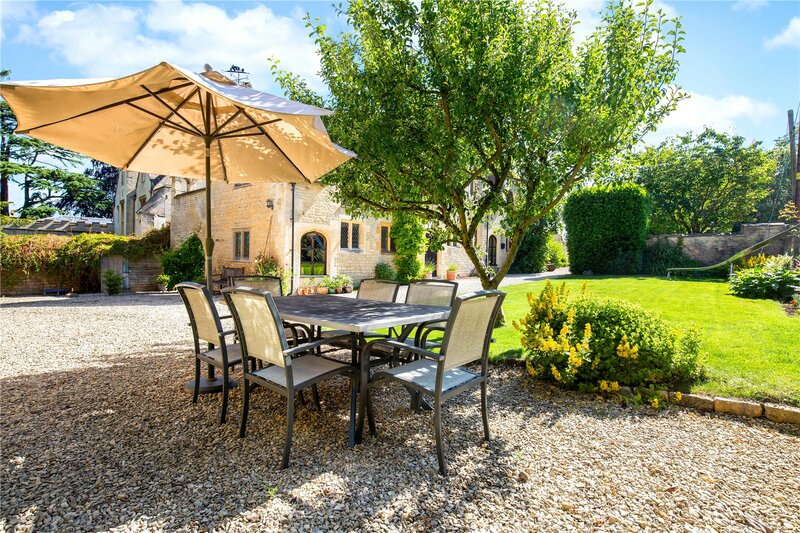 The Coach House offers exceptional ancillary accommodation ideal for a dependent relative or au pair. Set back from the main house with a lawned area behind and terrace to the front, this pretty detached home offers a well-appointed kitchen, spacious utility in addition to two bedrooms and an impressive sitting room with vaulted ceilings. The bedrooms and sitting room have been designed on the first floor to enjoy the beautiful views. 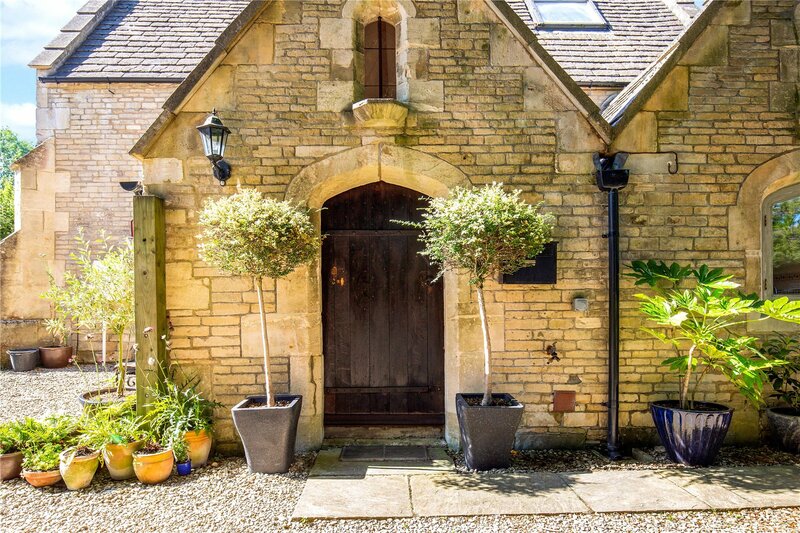 The Stable House and Coach House occupies a distinct position high above the famous Hill Climb lying on the north facing escarpment of The Cotswold Hills, as such the location is idyllic with views to the front of open countryside. The splendor of the house is apparent from first sight. 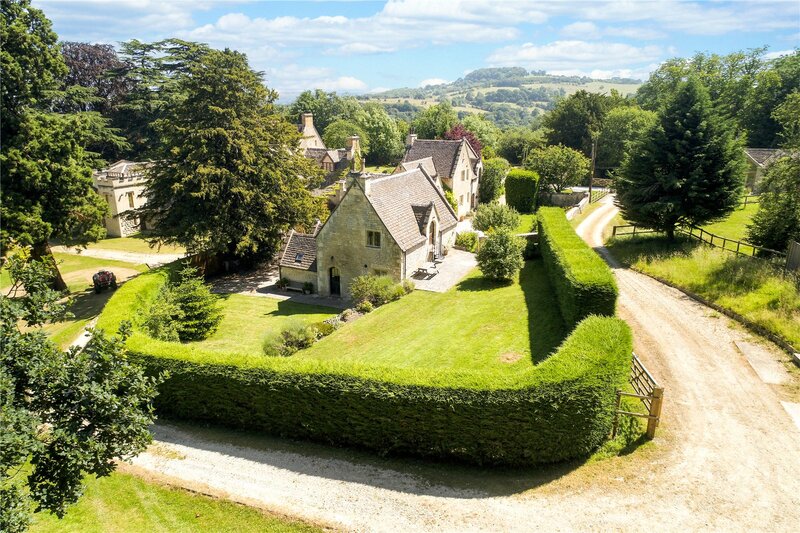 Its private and unique position is both inimitable and charming enclosed by lovely gardens which are also home to The Coach House. Accessed via timber gates leading to a driveway providing off road parking for several cars. The beautifully stocked gardens lie to either side of the drive and directly to the front of the house and beyond. There are many facets to the gardens, with gravelled areas accessed from the main reception rooms which anchor the house to gardens and provide the perfect spot to take in the views. 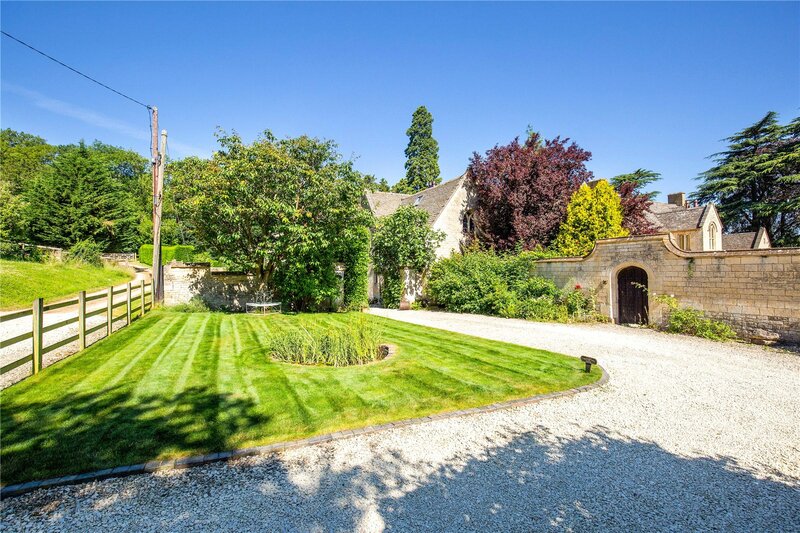 There are dispersed areas of levelled lawn that surround the main house and The Coach House, with some attractive arched walkways and mature shrubbery. 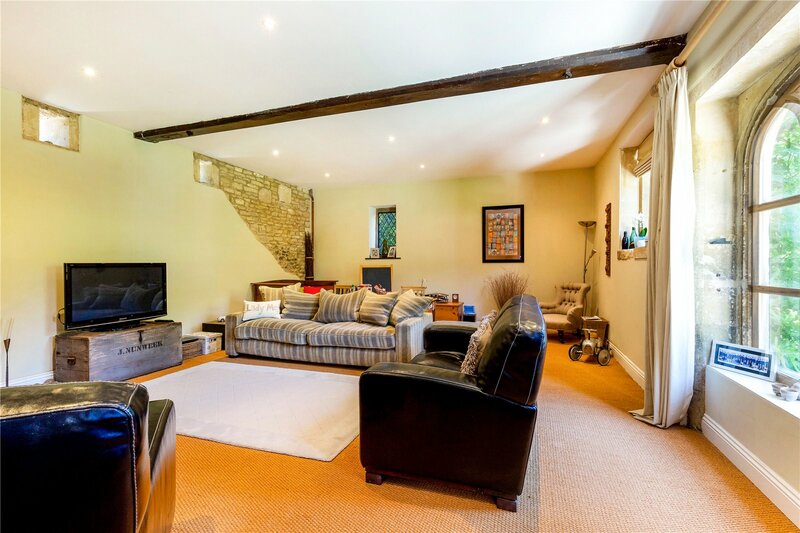 Beneath The Coach House is a double garage ideal for classic cars. 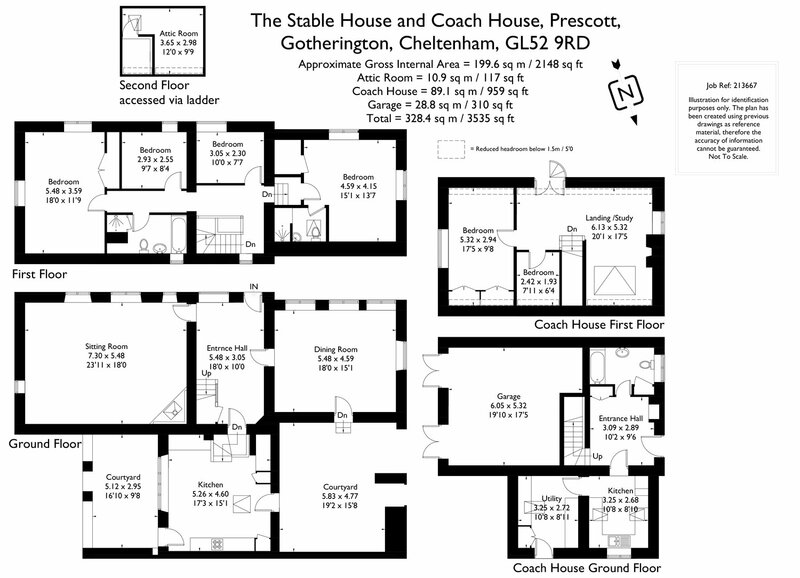 The Stable House & Coach House occupies a unique and idyllic position on the upper slopes of Prescott Hill within the hamlet of Prescott, home to the internationally renowned Buggatti owners Club and Hill climb. 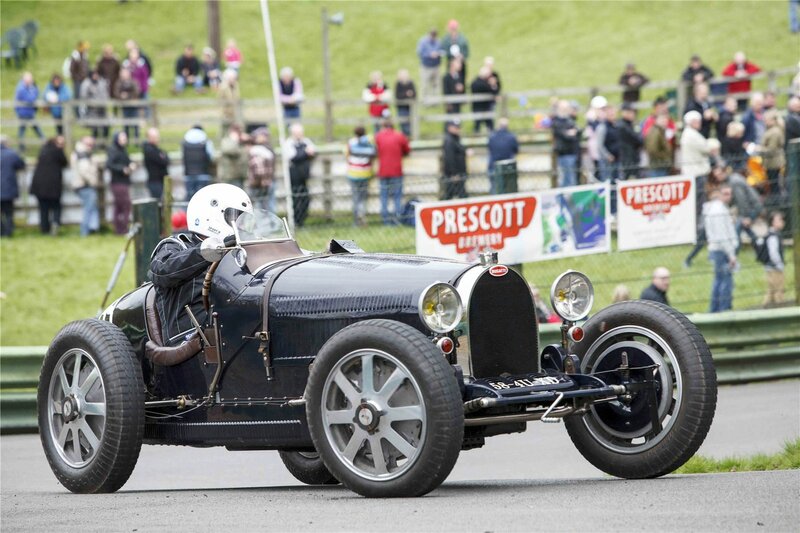 This prestigious venue has held top flight motor racing and vintage car meets for some 80 years and is recognised for the acres of open countryside that surround this stunning climb, all within An Area of Outstanding Natural Beauty. 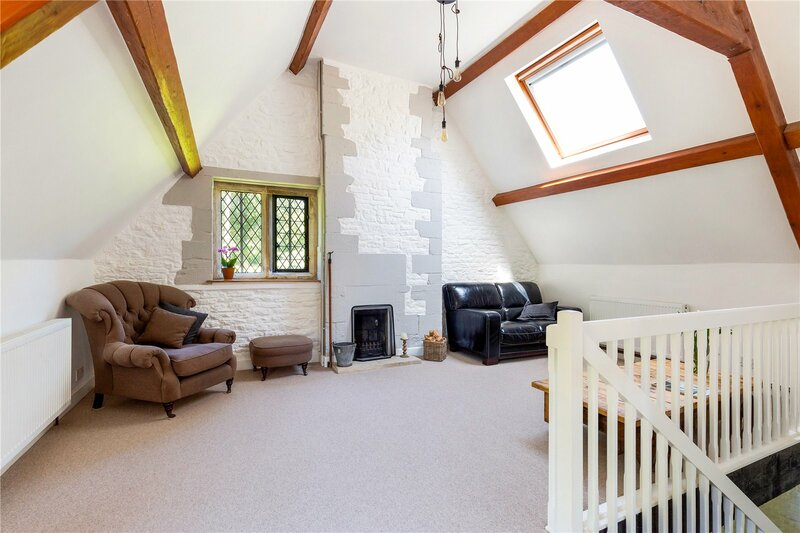 The position is such that there is a real sense of seclusion yet only a short drive or walk to the villages of Gretton and Gotherington, both of which offer a public house, village hall, and primary school in addition to a well-stocked village shop within Gotherington. The thriving Saxon town of Winchcombe is only five miles and offers a self-sufficient way of living day to day and a strong community feel with life centering around the reputable restaurants, an excellent secondary school, church, village shops, post office, local surgery and pharmacy in addition to a handful of delis and coffee shops. Whilst this flourishing parish provides excellent amenities, the spa town of Cheltenham is about eight miles away and within easy access. Cheltenham is a cosmopolitan town offering a wealth of cultural activity, playing host to several highly acclaimed festivals including Music, Literature and Jazz. It is home to world renowned schools, Cheltenham College, The Cheltenham Ladies College and Dean Close as well as exceptional grammar schools. Prescott enjoys a distinctive rural lifestyle yet accessibly close to large towns and with excellent communication links to the larger centres of Birmingham and Bristol via the M5 (J9) and to Wales via the M50. There are mainline railway stations at Ashchurch and Pershore with a direct line to London from Evesham, Kingham and Cheltenham.